Life imitates art, as the old Monty Python gag of an outdoor office comes to Hackney. 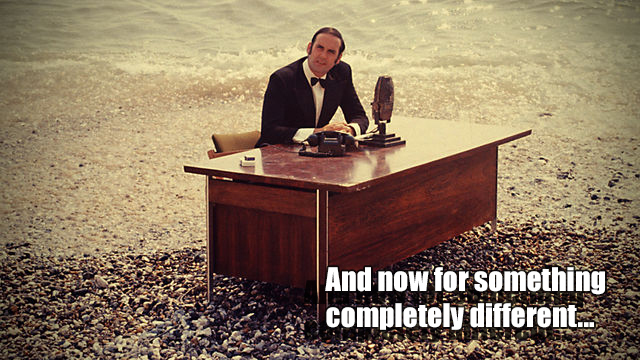 The pop-up meeting and co-working space looks a bit nattier than John Cleese's itinerant desk. For starters, it coils around one of the Hoxton Square's plane trees like a clingy tarsier. Inside, the see-through roof provides plenty of natural light, while translucent side panels stop al fresco competitor companies prying on your meeting. Desks, power supply, free wifi and uncomfortable-looking stools are provided, but bring your own laptops (mostly Macbooks, we'd wager). Single desks are yours for £15 (half a day), or you can book the entire space for £120 per half day. 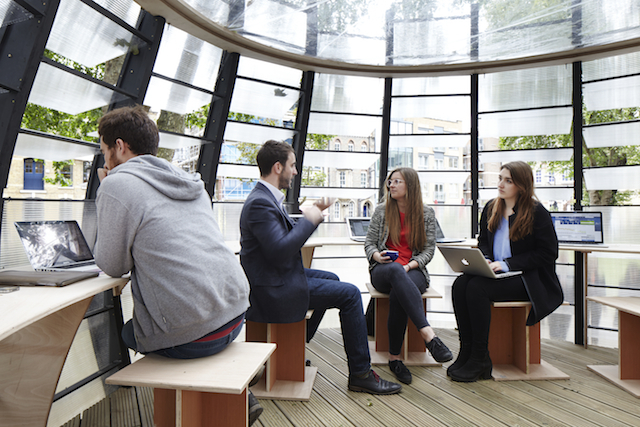 At weekends, the pod is freely available for community groups to muster. Money made from the venture will be reinvested into Hackney's parks and open spaces. 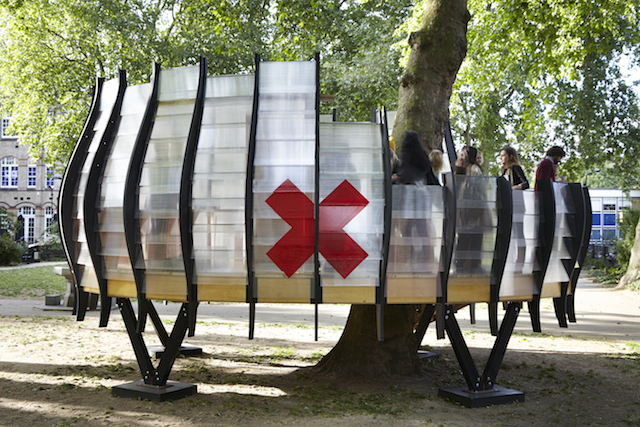 TREExOFFICE, as it's named, is the creation of artist Natalie Jeremijenko, in collaboration with artists Shuster + Moseley and architects Tate Harmer. 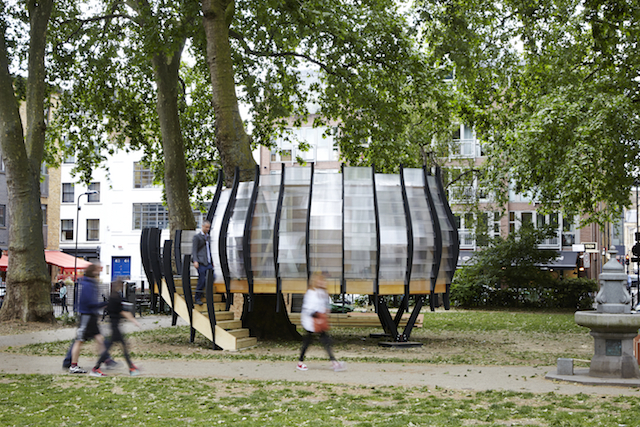 The pod coincides with London Festival of Architecture, but it'll be sticking around until December. To book a slot, see the website here.